With the participation of Microsoft, vintegrisTECH will present the most complete digital signature solution in mobility and legally recognized throughout the EU. nebulaSUITE – which complies with the international regulations eIDAS, ESIGN and UETA – allows comprehensive management of the digital identity cycle, including issuance, management, discovery, inventory and monitoring of digital certificates. As a new feature, its management system of telematic administrative notifications. The nebulaSUITE Summit 2018 will feature a legal presentation on the importance of the digital signature in accordance to the European eIDAS Regulation, and two techniques: one on the advantages of using it in Microsoft Azure and the other on the new features of the solution. There is no longer any professional refractory sector to legal obligations and the management advantages offered by the use of the signature and digital identity. Even areas traditionally attached to the “paper” as the legal is already including in its legaltech revolution aspects such as the digital signature, joining other areas such as finance, banking, insurance, real estate or retail. The digital signature – specifically the one based on digital certificates issued by certification authorities (CA), such as vinCAsign – not only saves organizations costs but, among other attributes, has full legal validity and is binding in all member states of the EU. A digital signature is also safer because it is based on digital certificates. It allows to identify and authenticate the signatories leaving evidence. Streamlines administrative processes. It is sustainable since it avoids the use of paper and directs us to paperless environments. Moreover, finally, it can be used from any place and time and on any mobile device. 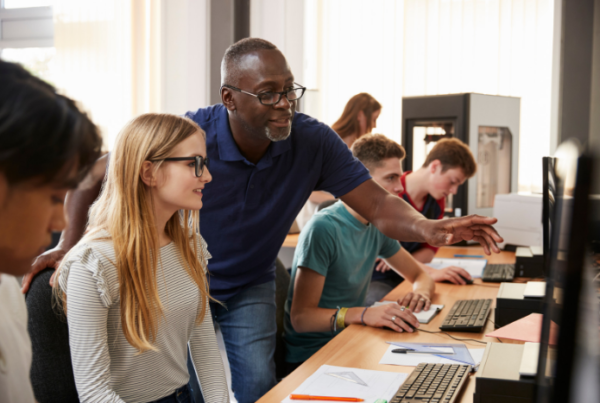 The questions that companies ask themselves: How can they benefit from the full cycle of digital identity, including issuance, management, discovery, inventory, and monitoring of digital certificates? On what platform should they use it? Do the arrival of the cloud and the SaaS modality make it even easier to use, compared to the traditional on-premise? What is the most convenient for each company and organization? 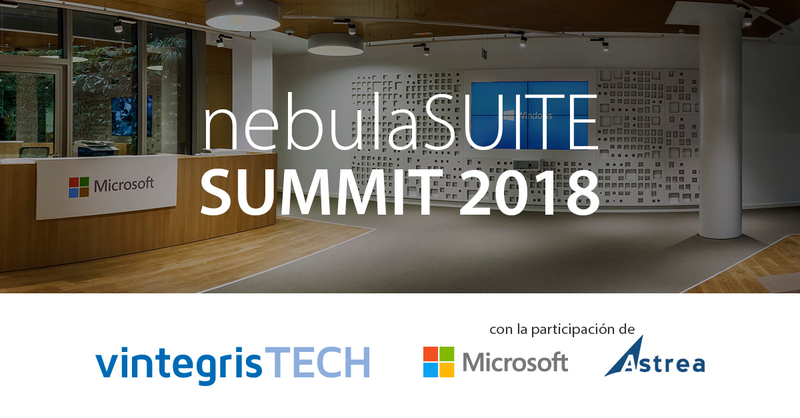 Next Tuesday, September 18th, at the headquarters of Microsoft Ibérica (La Finca Business Park, Paseo de la Finca, 1, 28223 Pozuelo Alarcón, Madrid) will be held the nebulaSUITE Summit 2018. 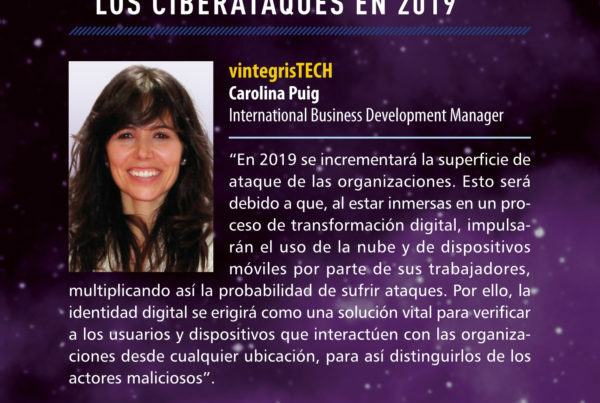 In this event, which will have the participation of Microsoft, will be explained on the one hand the advantages offered by the solution of vintegrisTECH to the challenges of the signature and digital certificate, even when it is already binding on all member states of the EU. Also, on the other, the advantage of using it in Azure, Microsoft’s Cloud platform. The nebulaSUITE Summit 2018 will start with a presentation by the lawyer Nacho Alamillo, director of Astrea Jurídica and vintegrisTECH collaborator, entitled Why does the digital signature become a maxim within the framework of the new European legal regulations (eIDAS)? The next presentation will be given by Juan Manuel Servera, Microsoft Cloud Architect, who will talk about the advantages of using Azure versus on-premise solutions. 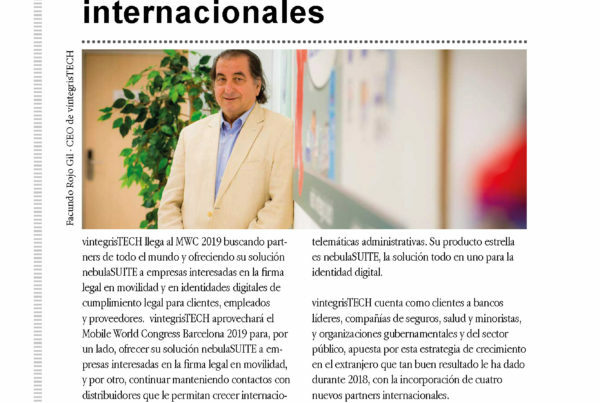 After the coffee break, at 11.30 am, Pere Barba, vintegrisTECH Cloud & PKI Services Manager will make a presentation about vinCERT’s Future. The convenience of SaaS and its legal support. vintegrisTECH has obtained the certification of its vinCERTcore product, recognized by the National Cryptological Center with the Common Criteria EAL4 + certification (ALC_FLR.2). This certificate allows the company, homologated as a qualified provider of trusted electronic services under Regulation (EU) No. 910/2014 on electronic identification and trust services (eIDAS), to issue qualified certificates and their use remotely. In this aspect, it should be noted that vinCERTcore is a fundamental part of nebulaSUITE.